Panelists during a session in the Strategic Workshop. (L to R) Dr Isamel Abdullah, Usec Alzad Sattar, Usec Francis Varela, AusAID Counselor Elaine Ward, Asec Noor Saada and Asec Maisara Latiph. Issues on cohort survival and drop-out rate, impact of conflict and displacement, teacher quality, implementation of education policies and the public system's responses to uplifting Education were cited in the in the DepEd and ARMM Basic Education Strategic Budgeting Workshop in Davao City supported by the Australian Agency for International Development and technical assistance of World Bank. We participants bearing in mind the role as khalifas, stewards on earth, joined DepEd Central officials and resource persons present the complicated but required systems of accountability in the largest government agency in ARMM, DepEd. We started the workshop with a TAICHI breathing exercise led by Assistant Ssecretary Jesus Mateo circling our arms and reciting a mantra on "MAY SIOPAO" (there is a siopao), and we flayed our hands to the left and right to show that the SIOPAO is shared . Just like education, it is shared. 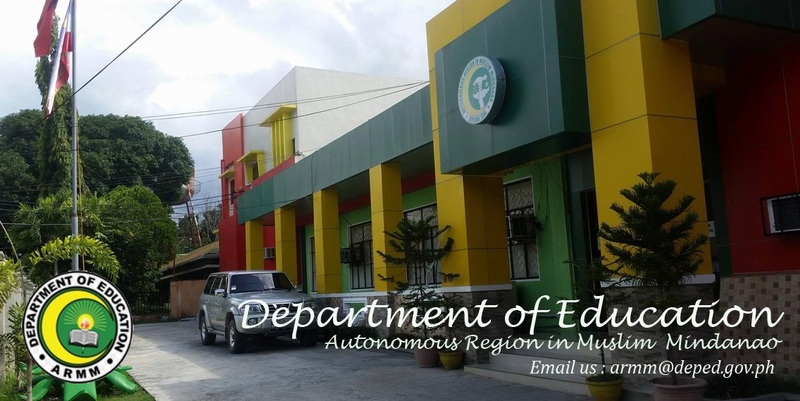 DepEd ARMM Assistant Secretary Noor Saada welcomed the "refreshing" workshop that is a rare convergence of central and regional education planners and managers. Planning is crucial and must be connected to finance and outcomes. The limitation of budget is a perennial problem across regions in the country and must not thwart the vision for an equitable and just society. "At the heart of the budgeting process is not the desire to address resource gap, it is to insure school-age children are able to access, stay in school, learning competently and completing their education," said Saada. Rather than start a problem with LACK OF, it is suggested to have a mindset of PROVIDING (with what is existing). Innovation and resource-mobilization is important. For instance, have special education funds from local government units been tapped into? All of this takes into the heart of looking into the LEARNER's plight and goes beyond grievance and finding fault in the lack of resources. RLA Chair on Education Samira Gutoc presented the importance of a more responsive Basic Education Act to include addressing education in conflict and emergencies, health and nutrition, professionalization of the workforce, special education and pushed strongly for IT professionals to be hired in the Division to the Regional Level. Acknowledging the lack of many undevolved programs of DepEd, she suggested a liason system be established between the Central and Regional Office. "Let the dream of a Bajao kid be your dream as well. Let us be inspired a Tausug teacher who teaches only by he use of her voice without a classroom to teach in." Other issues cited organizational development or institutional arrangements , information issues ie data integrity , access; systems ie monitoring and evaluation etc. On the other hand, Hamish Nixon, an international consultant of World Bank presented a helpful way of understanding the budget cycle by illustrating the actors involved in the budget process and showing the flow of decision making from the division, regional to the National such as in Congress . An appropriation law shall have to be enacted by the Regional Assembly . 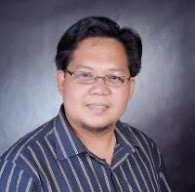 Context is unique in ARMM because of the ARMM's autonomous set-up. Its budget process is complicated and thus budget is fragmented. Relationship is more imperative and go beyond fault-finding, thus quality relationships should be established to expound its importance. On budgeting, consider the elements of information, consultation, and be comprehensive (taking into the account all sources of financing - where resources are taken, etc.). In managing the transition to be more autonomous, it should be comprehensive and coherent (i.e., transition to Bangsamoro arrangements). In the flow of information, there should be a transparency in communicating the CRITERIA (for projects, in the case). In monitoring and evaluation, the information gathered should bear data integrity thus a proposal on an ARMM Information Development Program.